Will tomorrow's wars be dominated by autonomous drones, land robots and warriors wired into a cybernetic network which can read their thoughts? Will war be fought with greater or lesser humanity? Will it be played out in cyberspace and further afield in Low Earth Orbit? Or will it be fought more intensely still in the sprawling cities of the developing world, the grim black holes of social exclusion on our increasingly unequal planet? Will the Great Powers reinvent conflict between themselves or is war destined to become much 'smaller' both in terms of its actors and the beliefs for which they will be willing to kill? 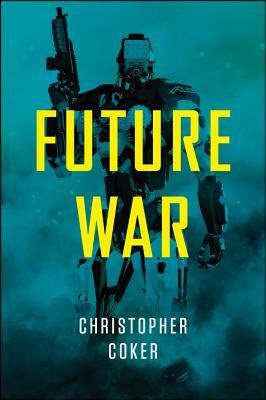 In this illuminating new book Christopher Coker takes us on an incredible journey into the future of warfare. Focusing on contemporary trends that are changing the nature and dynamics of armed conflict, he shows how conflict will continue to evolve in ways that are unlikely to render our century any less bloody than the last. With insights from philosophy, cutting-edge scientific research and popular culture, Future War is a compelling and thought-provoking meditation on the shape of war to come.